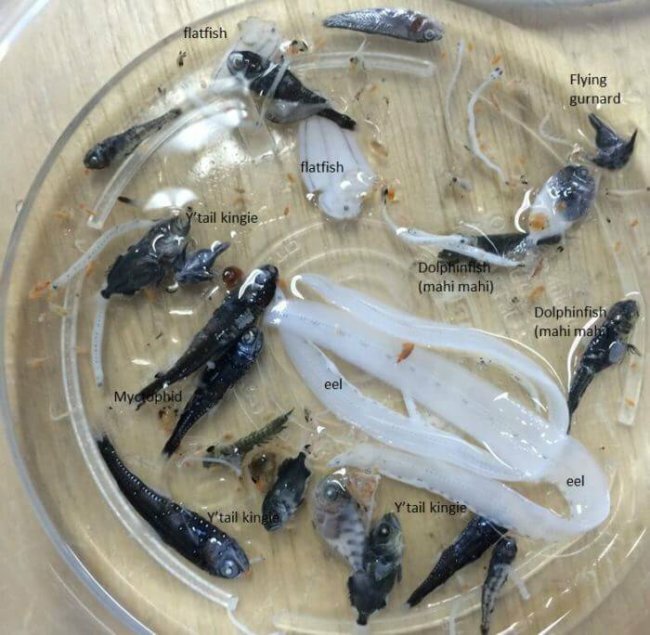 Scientists from the research organization of the Commonwealth (SCIRO) have discovered a new species of fish, exploring the underwater volcanoes off the coast of Australia. 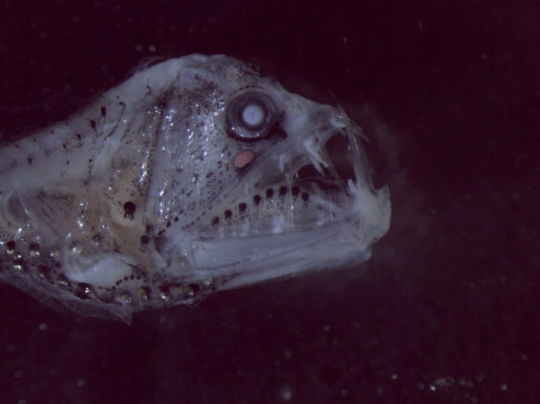 The find is similar to the alien from a horror movie - it has absolutely no scales, but has powerful fangs. 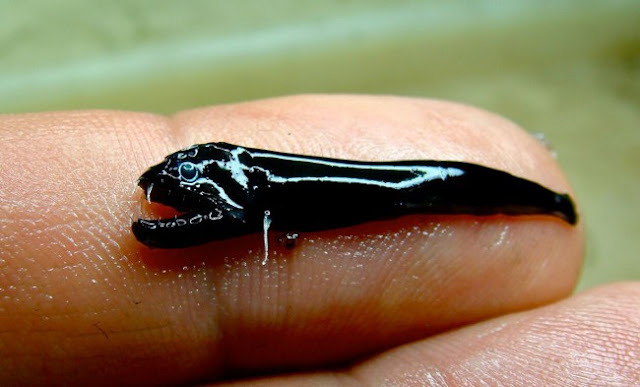 Discovered fish looks like the embodiment of nightmares, but its length - a little more than an inch (2½ centimeter). Thus, it would be easy to put on the tip of your finger. Of course, if you wanted it. Black fish was not the only strange discovery - scientists have discovered eddies in the ocean, where the larvae live lobsters, acneform Idiacanthus Atlanticus and butterflyfish butterfly fish (by the way, they can also boast of sharp teeth). According to Professor Ian-marinologa Satersa, this discovery showed that lobster larvae are able to grow far into the sea. "Previously, we thought that lobsters grow in coastal estuaries, and when the larvae makes the open sea - they die. But it turns out they can live in the ocean eddies. This is a very important discovery for the fisheries of the country ", - said Saters. Thus, the newly discovered ancient submarine volcanoes boast a variety of life. Among you there are still wishing to take a dip in the ocean?